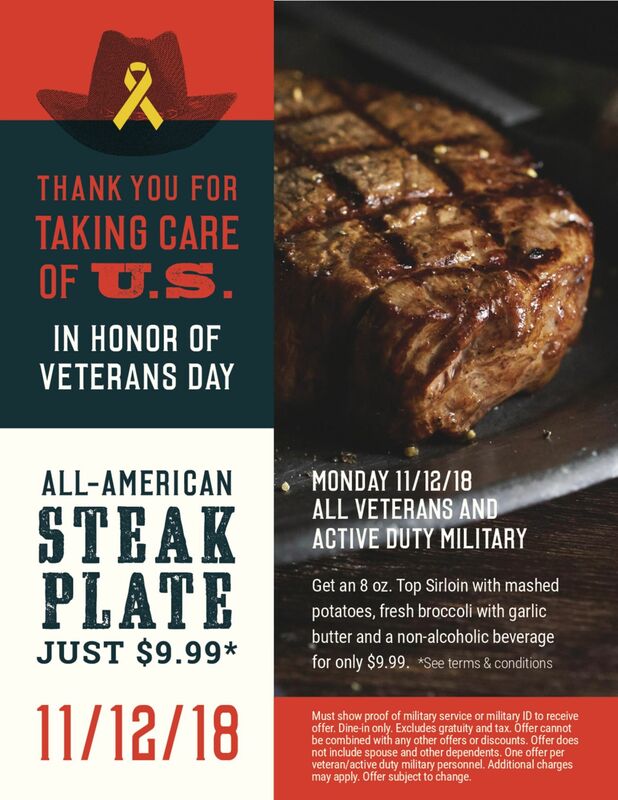 Sherman Oaks, CA (RestaurantNews.com) Black Angus Steakhouse, the original American steakhouse, announced today that it will celebrate all Veterans and Active Military personnel on Monday, November 12, 2018 with a special deal on its most famous hearty meal. The restaurant chain, which was founded by a Veteran on the premise of providing an attainable steak dinner for all, will offer an 8 oz. Certified Angus Beef® Top Sirloin, mashed potatoes, broccoli with garlic butter and a non-alcoholic beverage – all for just $9.99.